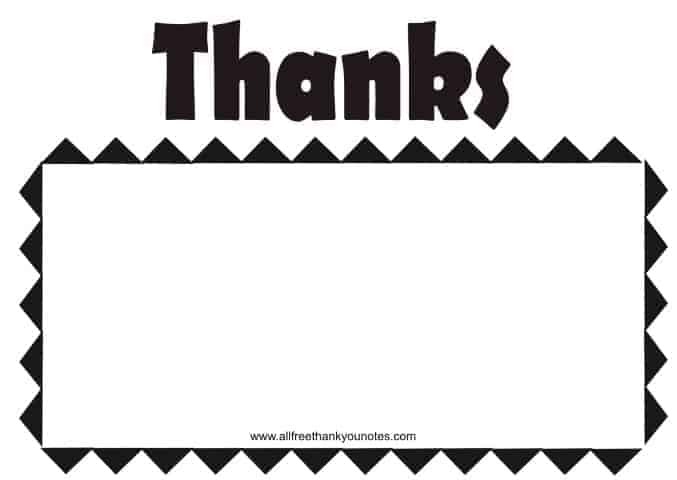 The black and white thank you notes series is quite versatile and is suitable for use in most situations. 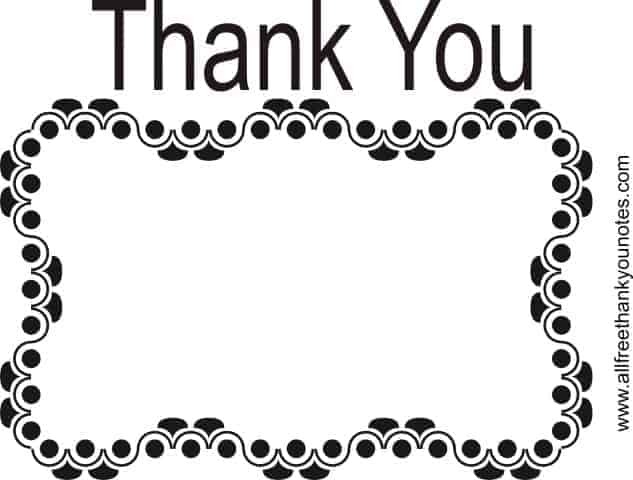 A simple black and white designed thankyou note card is a good theme in graphic design and seems to be popular for most occasions. My black and white thank you notes range from simple designs, to intricate art deco patterns, modern abstract to the more traditional. Choose from any of my designs and use them for your own personal thank you needs. These free printable thankyou notes are ideal for any purpose. Use the blank space to write your own personal note. 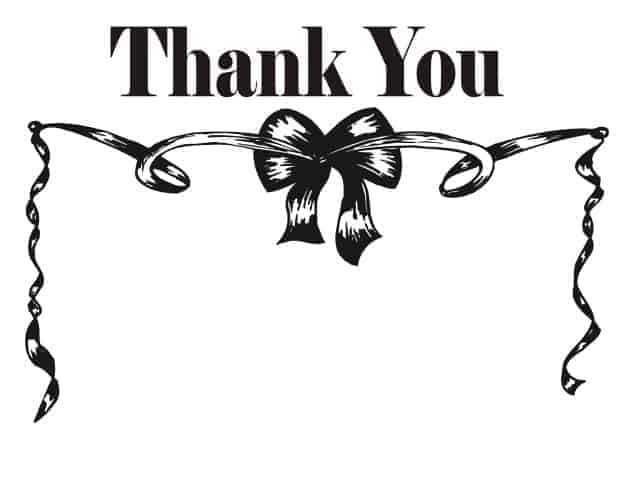 Black and white thank you notes are probably the most versatile as they can be used for any situation, ranging from birthdays, christenings, engagement, wedding, graduation or just because. My thank you cards and notes are also great for your craft project. They can be used for photo albums, scrapbooks and photo collages. Feel free to print as many as you need. Each thank you note / card comes as a PDF document that you can open and print at home. My notes are always in full colour, but you can choose to print them as black and white in your print options section of your own computer. 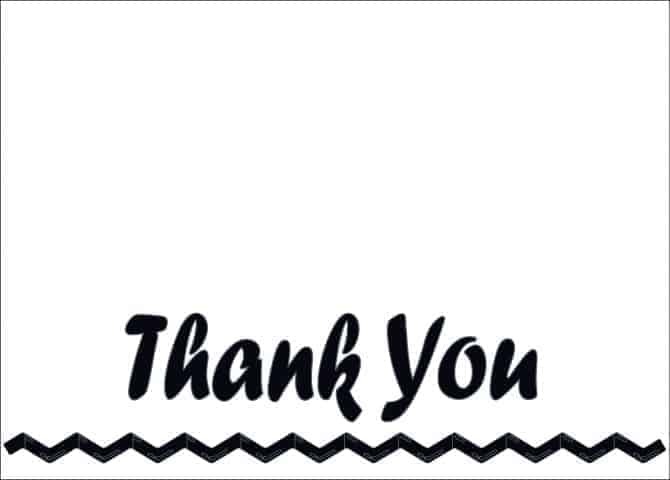 From a simple and elegant thank you note to an elaborate themed thank you note, you are sure to find what you are looking for here. And everything is free to print! Also suitable for party or wedding thank you occasions. I have a wonderful range of free printables for you to use. THERE ARE NO CATCHES, POP UPS OR JOINING UP. EVER. Simply find a thank you note that you like, and print it. Easy! You can browse my free thank you note cards by category to the left to find the perfect design for your occasion. Free printable thank you cards & notes are a great way to let your family and friends know you are grateful for the gift or good deed. You can even give a thankyou card or note for no reason at all. I have a large range of designs and coloured thank you notes on my website, you name it, I have it. Please feel free to contact me if you have an idea for a thank you note or card and I will try to make it for you. I am a single mother from Sydney Australia who enjoys making thank you notes and cards that people on the Internet can download and print for free. My site is totally free and you can use any of my designs for your own personal enjoyment. Enjoy my free thank you notes and cards and I hope your event is a huge success. Also for free printable invitations for events or occasions be sure to visit www.allfreeinvitations.com for a fabulous range of free invitations.